Thanksgiving was great, but I hope you saved room for this week’s Math Munch! 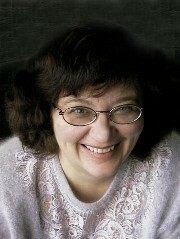 First up, meet Tanya Khovonova, a mathematician and blogger who works at MIT. Number Gossip is a website of hers where you can find the mysterious facts behind your favorite numbers. For instance, did you know that the opposite sides of a die add to 7, or that 7 is the only prime number followed by a cube (8=23)? Speaking of 7, I also found this cool test for divisibility by 7 on Tanya’s website. Is that divisible by 7? Let's take a walk. Read about how to use it here, but basically you follow that diagram a certain way, and if you land back at the white dot, then you’re number is divisible by 7. I’m amazed and trying to figure out how it works! Next up, I wanted to share this incredible picture I found today. 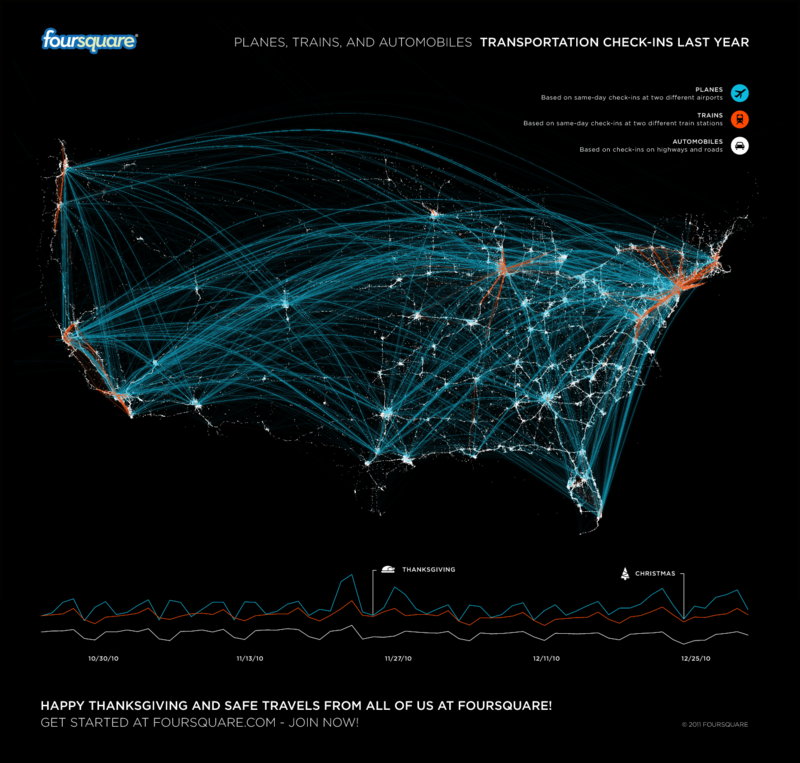 It’s an infographic showing travel patterns in the US during the holiday season. The picture must represent millions of little pieces of data, so I’ve spent a lot of time staring and analyzing it. Did you notice the bumps in the bottom? Why is that happening? Why are the blue lines different from the white lines? There are so many good things to be seen. Finally, take a look at these pictures! They’re from Kenneth Baker’s Sketches of Topology blog. Kenneth makes images demonstrating ideas in topology, one of the most visually appealing branches of mathematics. Some of it is tough to understand, but the pictures certainly are fascinating. On a related point, have you taken a look at the Math Munch page of math games? (You can always find the link at the top of the column to the right.) I just added a topology game, the Four Color Game, and I’m kind of loving it. It’s based on a famous math result about only needing 4 colors to nicely color any flat map. 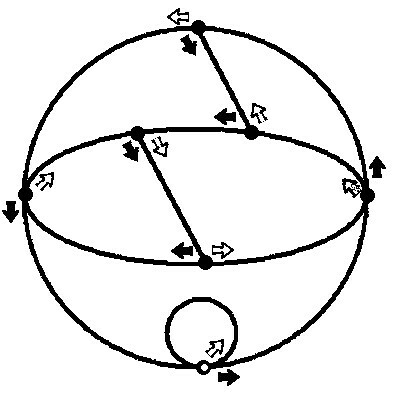 This is called the Four Color Theorem, and it’s a part of topology. The colors in this video was very pretty and kept my attention and I also thought it was entertaining!